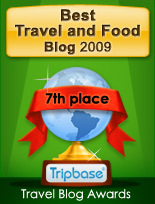 Enjoy - Food & Travel: Hviids Vinstue - a place to drink!! Hviids Vinstue is a place familiar to many Norwegians. Located at Kongens Nytorv, it is a haven for many Norwegians that, after a day's walk around in Strøget, are tired and wants to enjoy a glass of beer and maybe a "lille en". Having ordered their special offer of three sandwiches and a beer at DKK 60, I will say that Hviids Vinstue is a place to drink, not to eat. 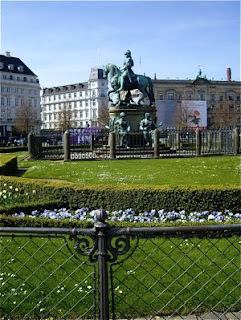 Hvvids vinstue is located at Kongens Nytorv, one out of two main squares located in the middle of Copenhagen. It is a beautiful spot, easy to get to by train, bus or subway. If you like grumpy elderly men waiting on you, this is definitely the place for you. Waiters dressed as just that, with a tone that may be typical of the regular Danish kneipe. What ever this may it is not regular politeness, according to most standards, so you decide whether this is your cup of tea (or pint of beer). The food was served at the light of speed, and when you see it, you'll understand why. Hviids Vinstue goes back nearly 300 years, and this age rubs off on the interior. It is beautifully rustic, with a patina only old history may give. 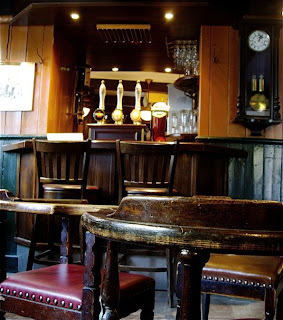 It is a dark interior with different colours with shades of brown in them. If the interior is nice, it is not a comfortable place to sit. The chairs are hard, and the tables are close to each other. You are given knife and fork with your meal, so this is down to basics. If you want gto drink, try "Smøgen", the smoking department still allowed in Denmark. Here you have softer seats and more comfort. 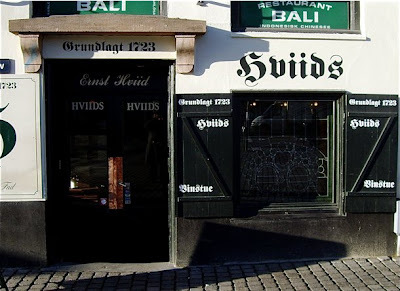 I was told that Hviids vinstue shared kitchen with the next door tavern Skindbuksen. 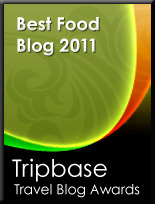 If it does, the quality of the food could not be further apart. 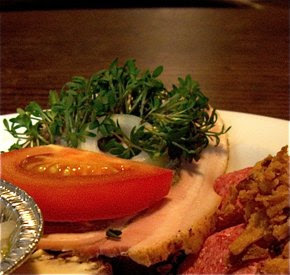 Hviids vinstue offered three items of "håndmad" (food in the hand) priced at DKK 65 with one bottle of Tuborg beer. It is safe to sahy that the only one of the three open sandwiches I ordered that reminded me of my excellent meal at Skindbuksen a year ago was the herring. We used to buy red Danish salami, when we visited Denmark when I was a kid. Even though I liked it then, I do not find it appetizing any more. It was nothing to look at, really. My first open sandwich had a few slices of Danish salami, with (what was supposed to be) crisp onion and remoulade on rye. Consistency - not much to talk of, either. The salami was very greasy, the crisp onion was completely softened and showed that this was not very fresh. 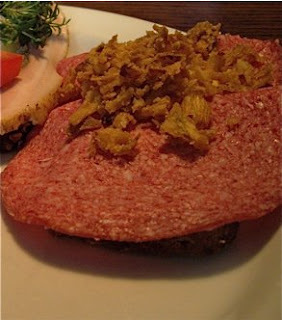 The salami was not very salt and was balanced with the remoulade that had a distinct taste of pickled cucumber and the slight bitterness of the dense Danish rye bread. It was a disappointing experience, but at a price of DKK 21,50, it was tolerable. The second piece of "håndmad" had lamb roulade and cress. Looked nicer, the roulade was equally greasy, but the cress provided a contrasting crunch. It did not taste much, though. A little pepper, a hint of salt - the bitterness from the cress and the rye bread dominated. Worth DKK 21,50, not a Danish øre more. The Danes are renowned for their herring, and I am pleased to say that the herring at Hviids vinstue lifted the experience a little. Herring in a clear vinaigrette with onion and pepper corns served in a small cup made from tin foil. Looked a little better, and at last we had a tastes playing around in my mouth. 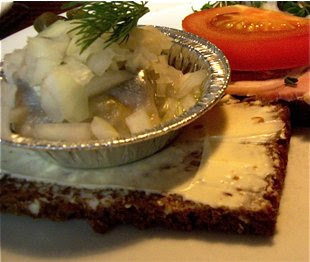 Good consistency, soft herring, onion with crunch. Balance of sweet and sour was a little on the sour side, but the aromas of herring, onion, and pepper reminded you that you were in Denmark. 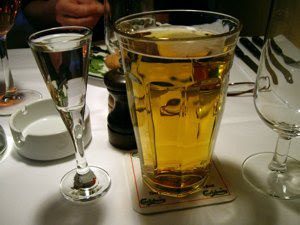 The pieces of Håndmad were not large and were served with a bottle of Tuborg. Decent beer, but a little flat and boring. Tuborg is not my favourite, but it was OK. You are recommended to do as I did, buy a little Gammel Dansk Bitter to digest the flood. Kongens Nytorv 19, DK - 1050 København K.